If you're looking to forgo the latest mega-blockbuster in favor of something more thoughtful, there are a handful of documentaries showing in theaters around San Francisco in upcoming days. From Mr. Rogers to Ruth Bader Ginsburg, here are some highly rated films to catch, based on critical scores sourced from review aggregatorRotten Tomatoes and selected by movie ticket siteAtom Tickets. It's a rare person who would give up fame and fortune to toil in obscurity for someone else's creative vision. Yet, that's exactly what Leon Vitali did after his acclaimed performance as Lord Bullingdon in Stanley Kubrick's Barry Lyndon. The young actor surrendered his thriving career to become Kubrick's loyal right-hand man. For more than two decades, Leon played a crucial role behind-the-scenes helping Kubrick make and maintain his legendary body of work. The complex, interdependent relationship between Leon and Kubrick was founded on devotion, sacrifice and the grueling, joyful reality of the creative process. By entering their unique world we come to understand how the mundane gives rise to the magnificent as timeless cinema is brought to life at its most practical and profound level. With a 95 percent approval score on Rotten Tomatoes, "Filmworker" is a popular new release. It's playing today at the Opera Plaza Cinemas at 2:25 p.m., 4:40 p.m. and 7:10 p.m. Get tickets here. At the age of 84, U.S. Supreme Court Justice Ruth Bader Ginsburg has developed a breathtaking legal legacy while becoming an unexpected pop culture icon. But without a definitive Ginsburg biography, the unique personal journey of this diminutive, quiet warrior's rise to the nation's highest court has been largely unknown, even to some of her biggest fans - until now. RBG is a revelatory documentary exploring Ginsburg 's exceptional life and career from Betsy West and Julie Cohen, and co-produced by Storyville Films and CNN Films. With a 94 percent approval score on Rotten Tomatoes, "RBG" is one of 2018's most popular documentaries to date. It's playing at various theaters around San Francisco today and throughout the weekend. Get tickets here. Fred Rogers spent decades on television, using puppets and play to inspire the imaginations of countless children. But his ideals and compassion also transformed our very concept of childhood - and of what it means to be good neighbors to each other. Directed by Academy Award -winning filmmaker Morgan Neville, Won't You Be My Neighbor? offers a glimpse behind the cardigan at the life and legacy of this singular, fascinating man. 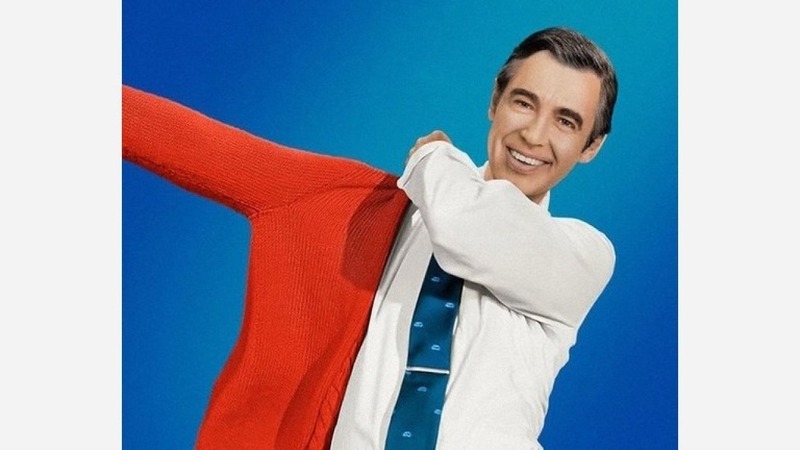 With a 99 percent approval score on Rotten Tomatoes, "Won't You Be My Neighbor" is a popular new release. It's playing at theaters around San Francisco today and throughout the weekend. Get tickets here. Only three centuries ago, setting out to climb a mountain would have been considered close to lunacy. Mountains were places of peril, not beauty, an upper world to be shunned, not sought out. Why do mountains now hold us spellbound, drawing us into their dominion, often at the cost of our lives? From Tibet to Australia, Alaska to Norway armed with drones, Go-Pros and helicopters, director Jennifer Peedom has fashioned an astonishing symphony of mountaineers, ice climbers, free soloists, heliskiers, snowboarders, wingsuiters and parachuting mountain bikers. Willem Dafoe provides a narration sampled from British mountaineer Robert Macfarlane's acclaimed memoir Mountains of the Mind , and a classical score from the Australian Chamber Orchestra accompanies this majestic cinematic experience. Lastly, with a 88 percent approval score on Rotten Tomatoes, "Mountain" is another new documentary that's attracting attention. The film is showing today at the Clay Theatre (2261 Fillmore St.) at 5 p.m. and 7 p.m. Get tickets here.